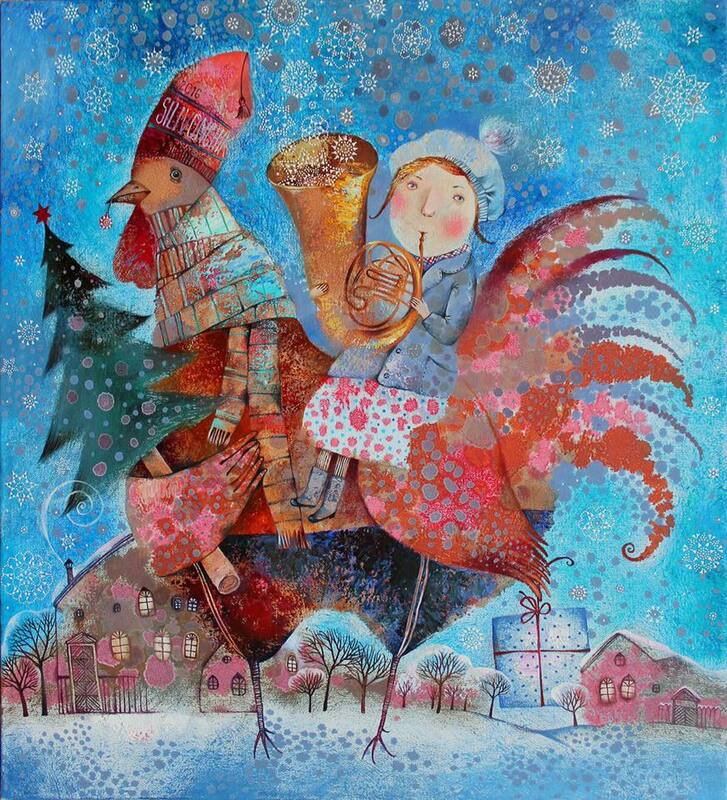 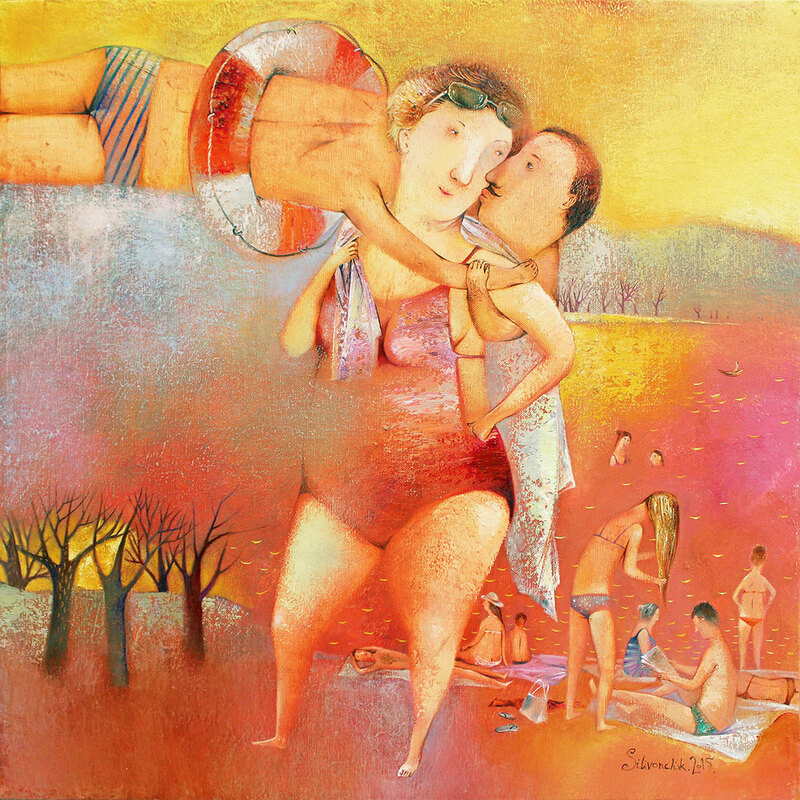 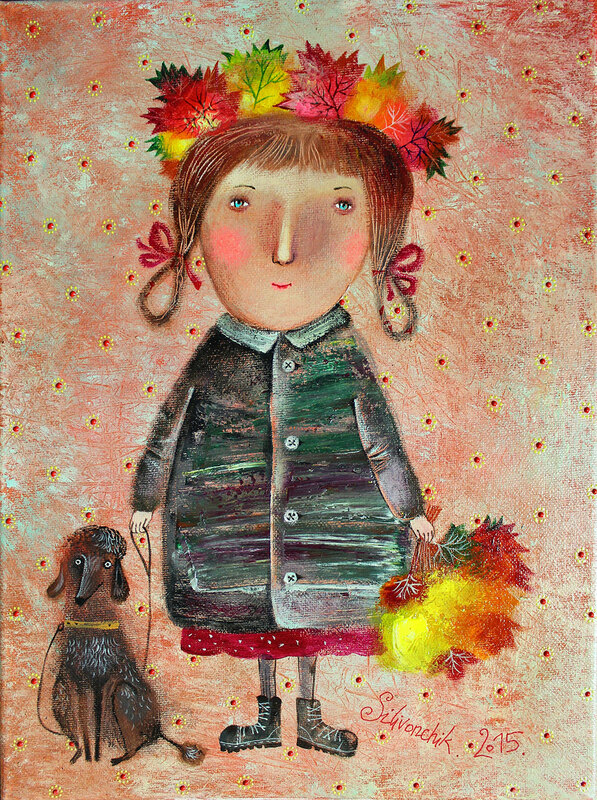 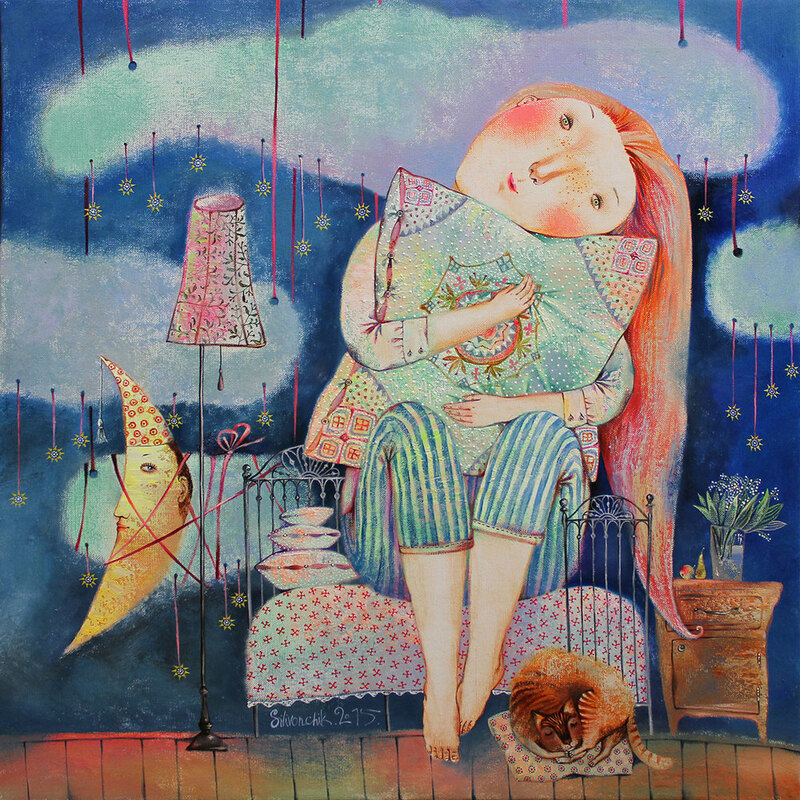 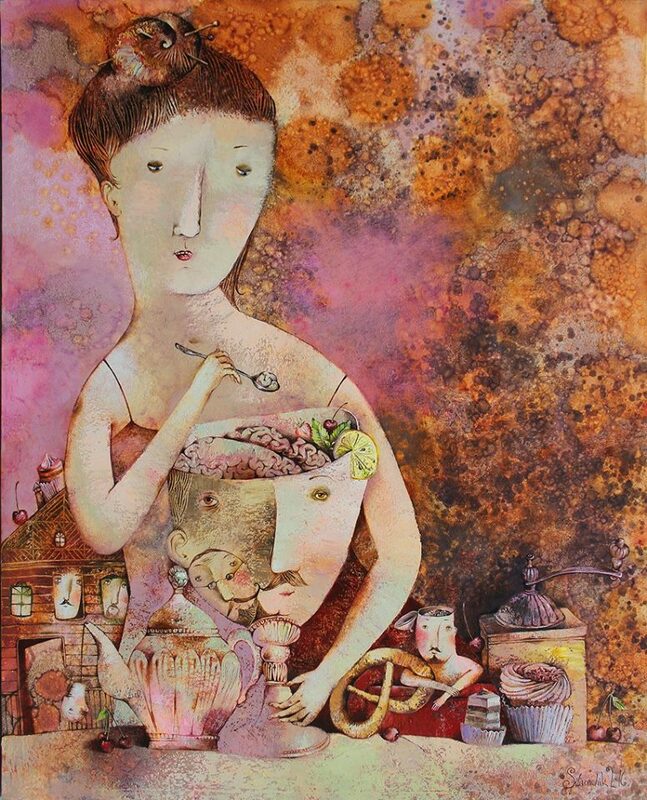 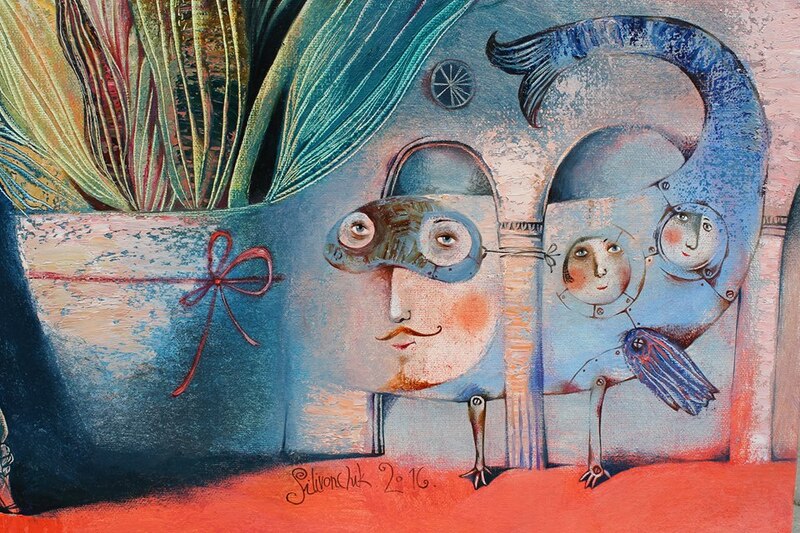 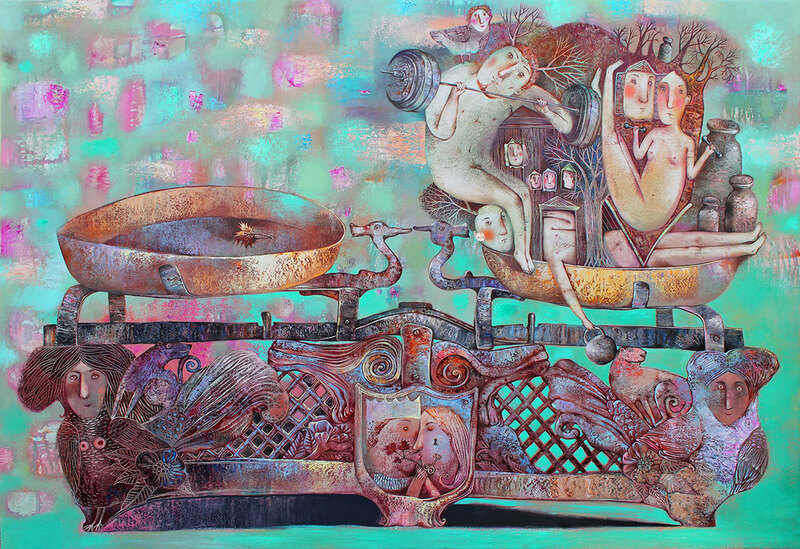 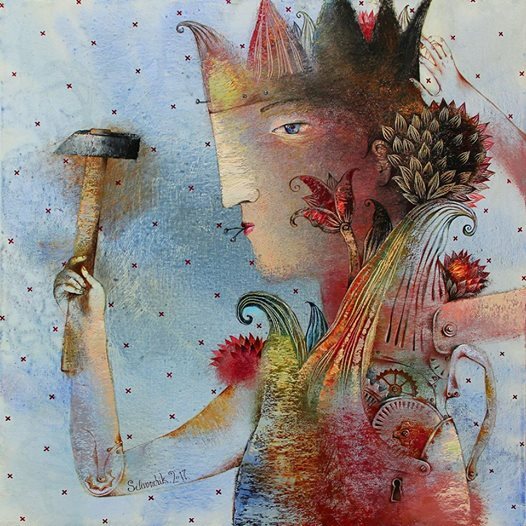 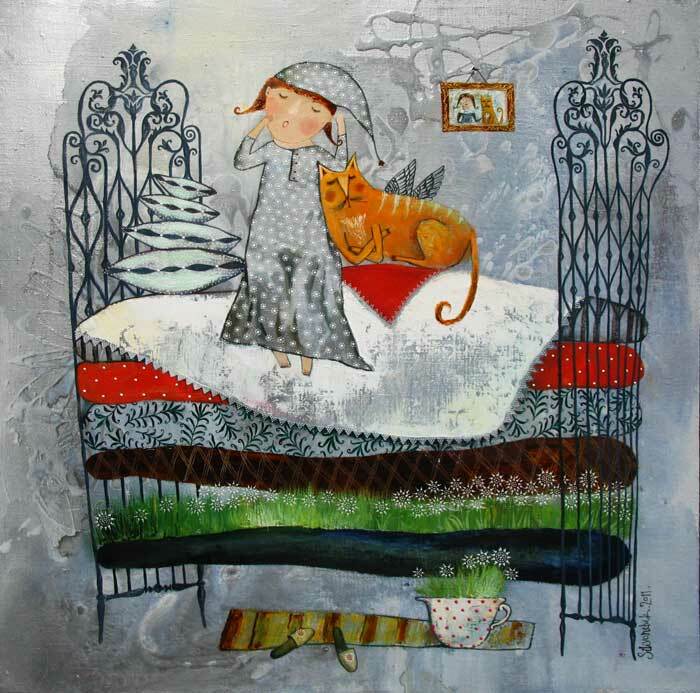 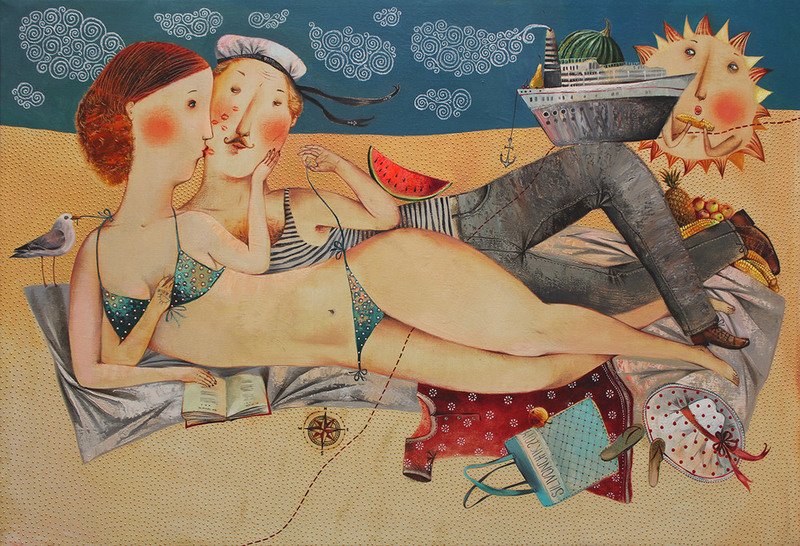 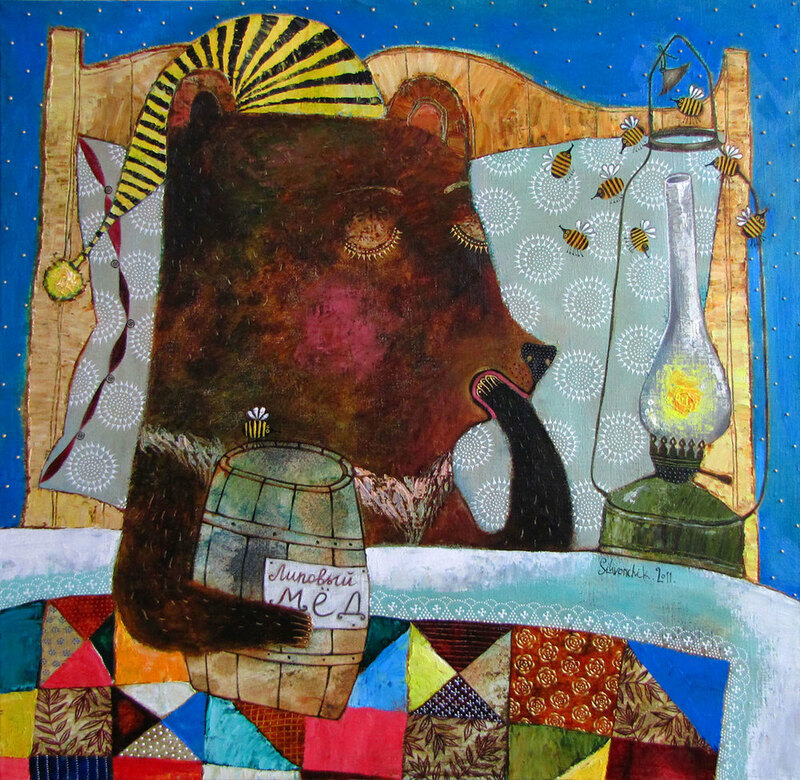 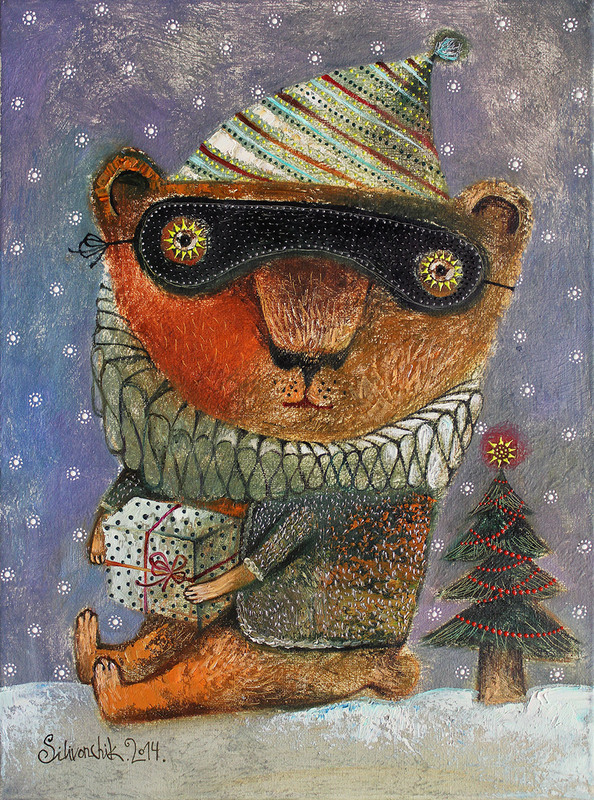 Anna Silivonchik, widely recognized and prized for her stark individual style, is a leading force among the young generation of Eastern European painters. 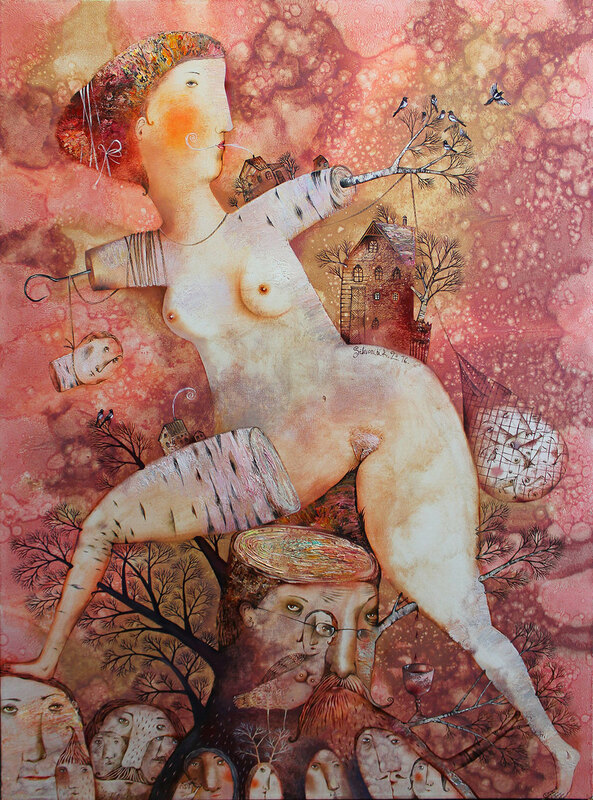 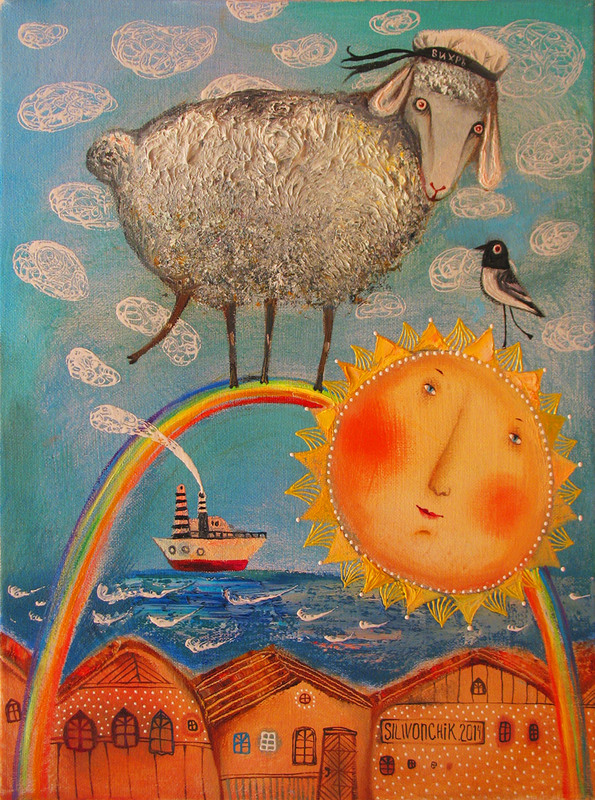 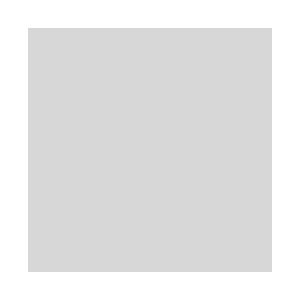 Those who have been lucky enough to experience her works in person often draw aesthetic parallels with Chagall’s oeuvre. 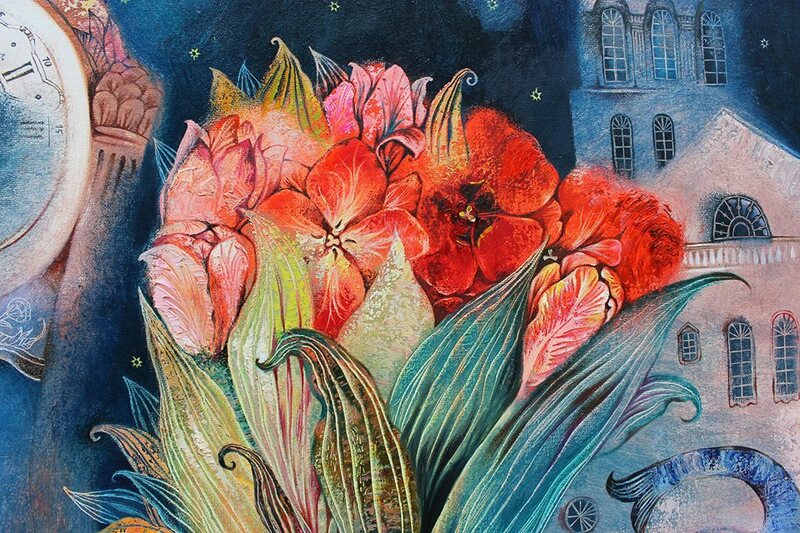 No wonder, as Mark Chagall’s whimsical realism, along with the naïve art of the 20th century primitivists, national folklore and decorative art, are the main sources of Anna’s aesthetic inspiration. 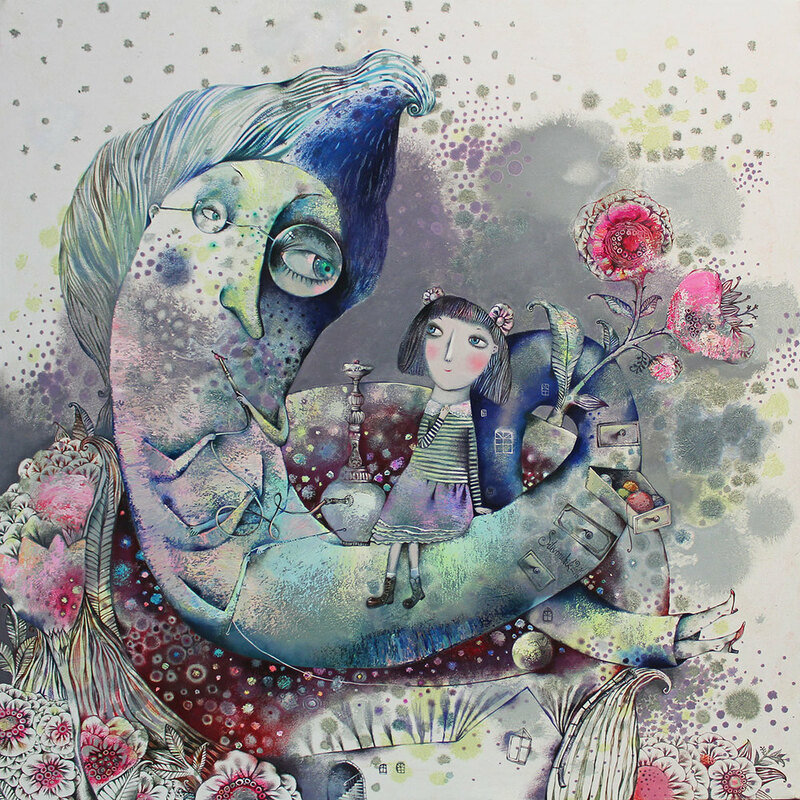 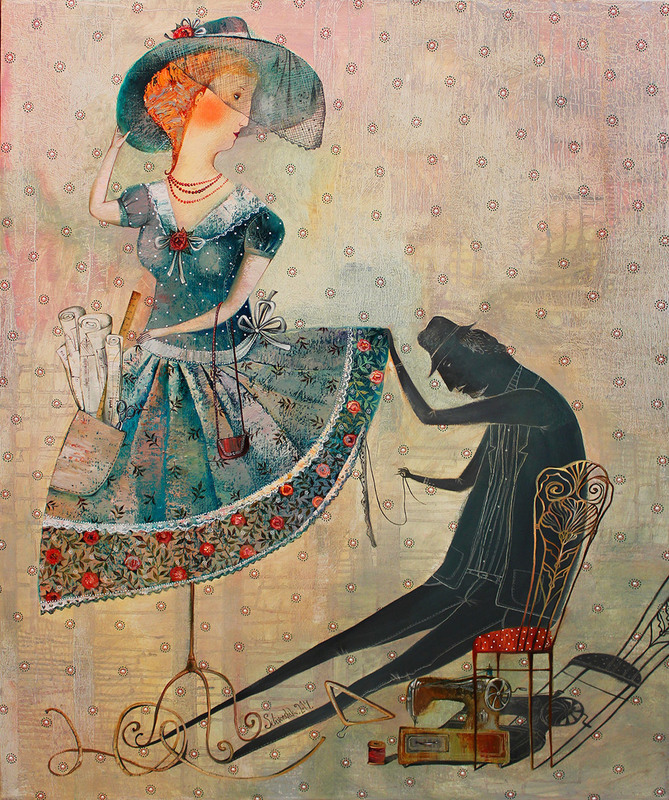 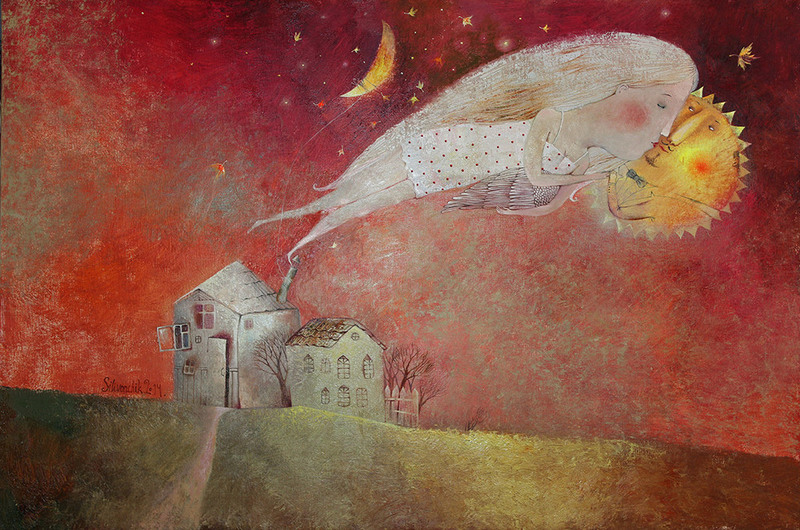 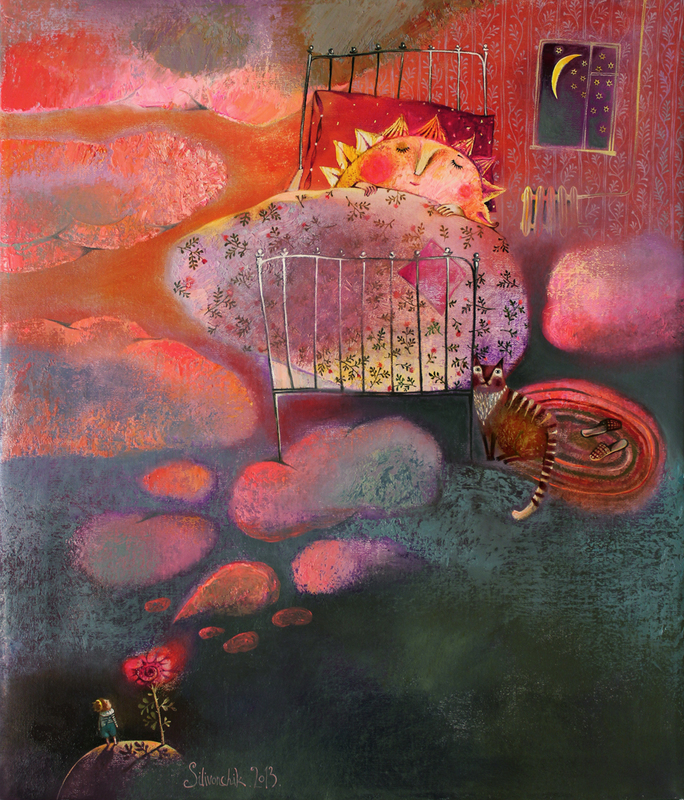 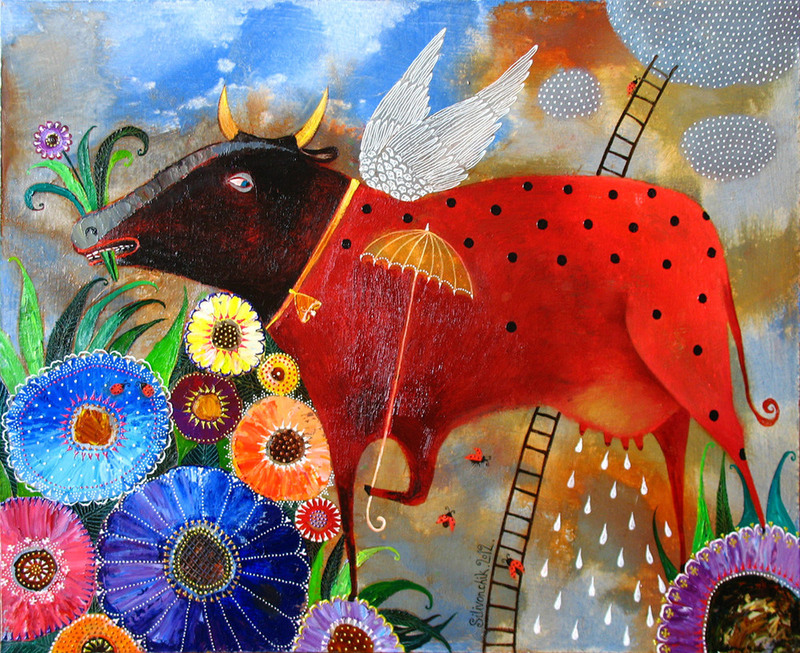 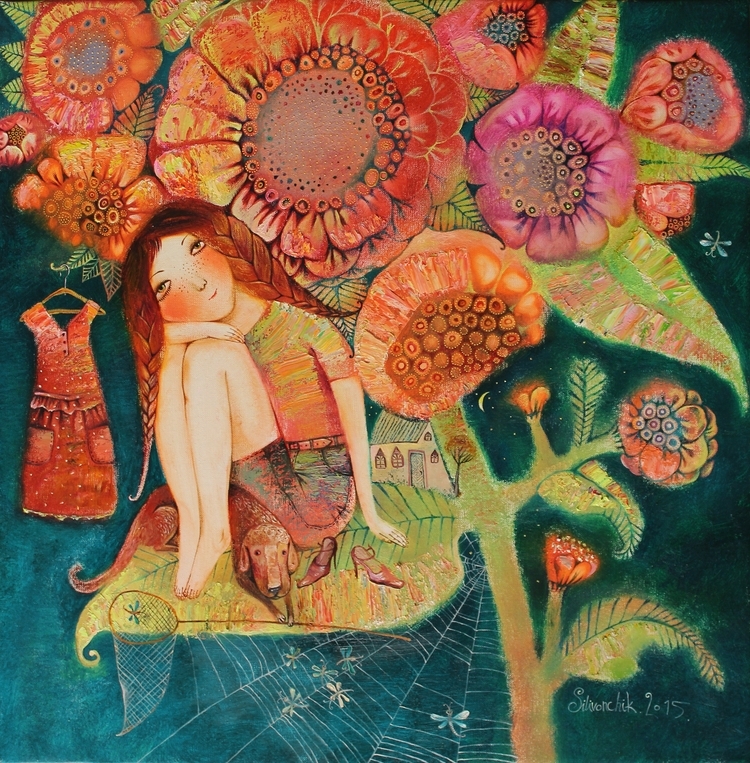 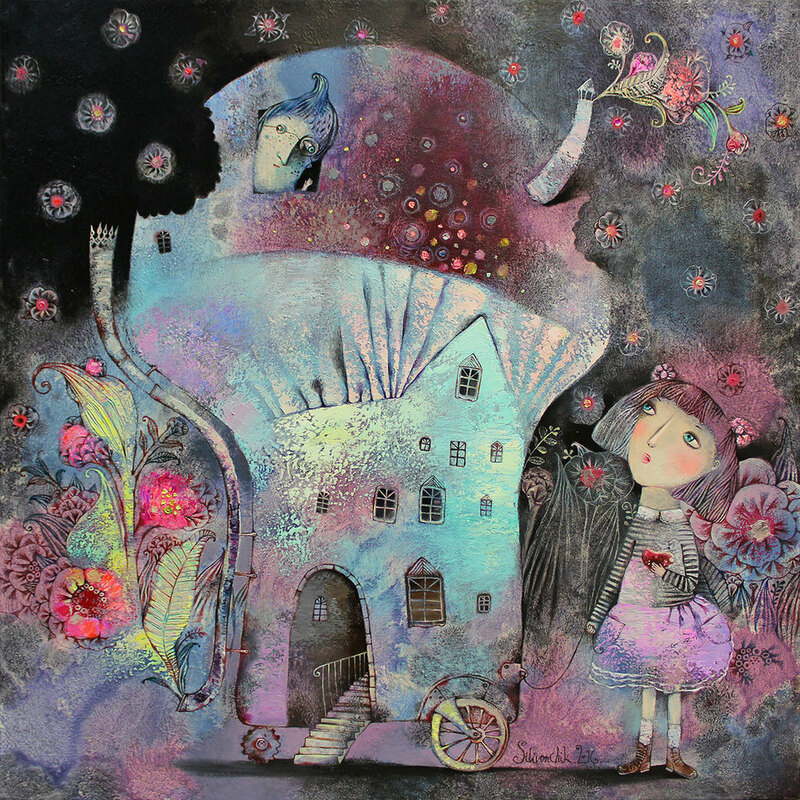 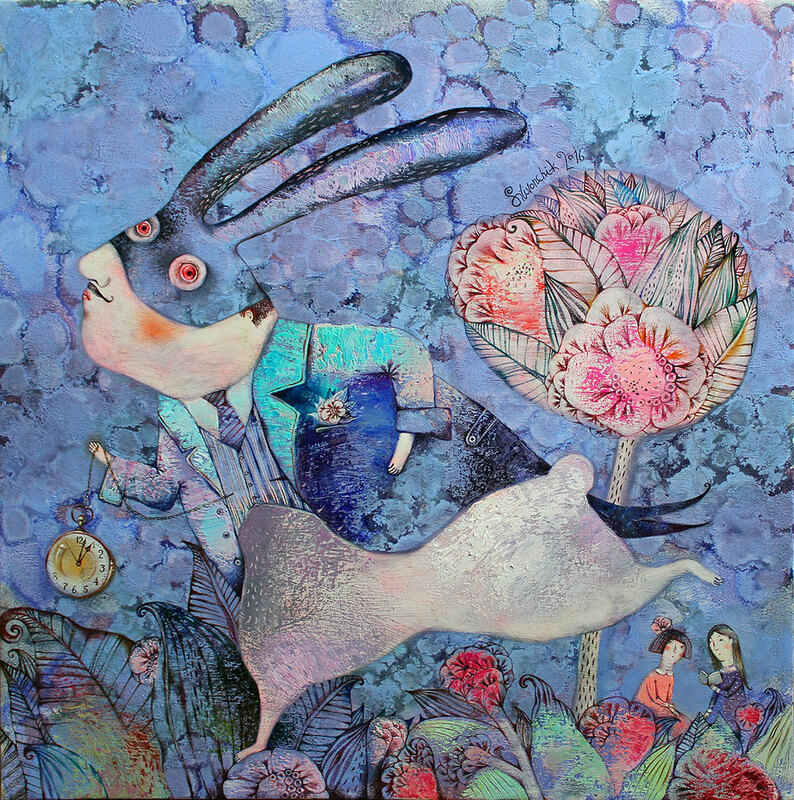 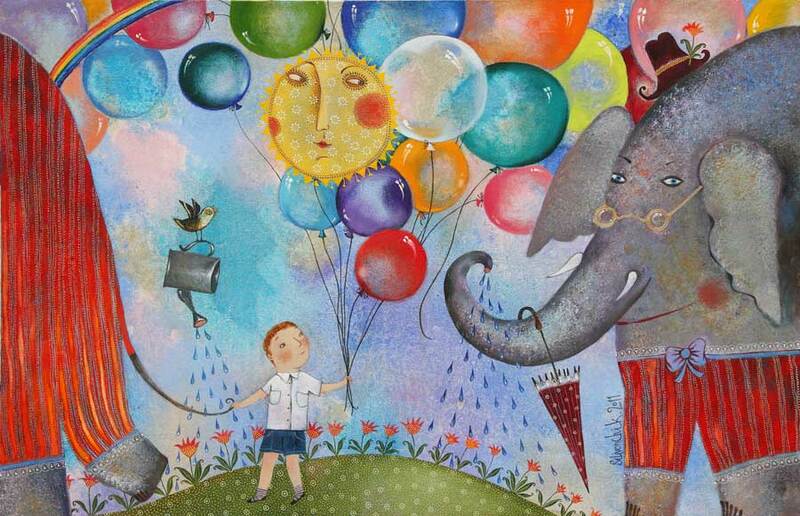 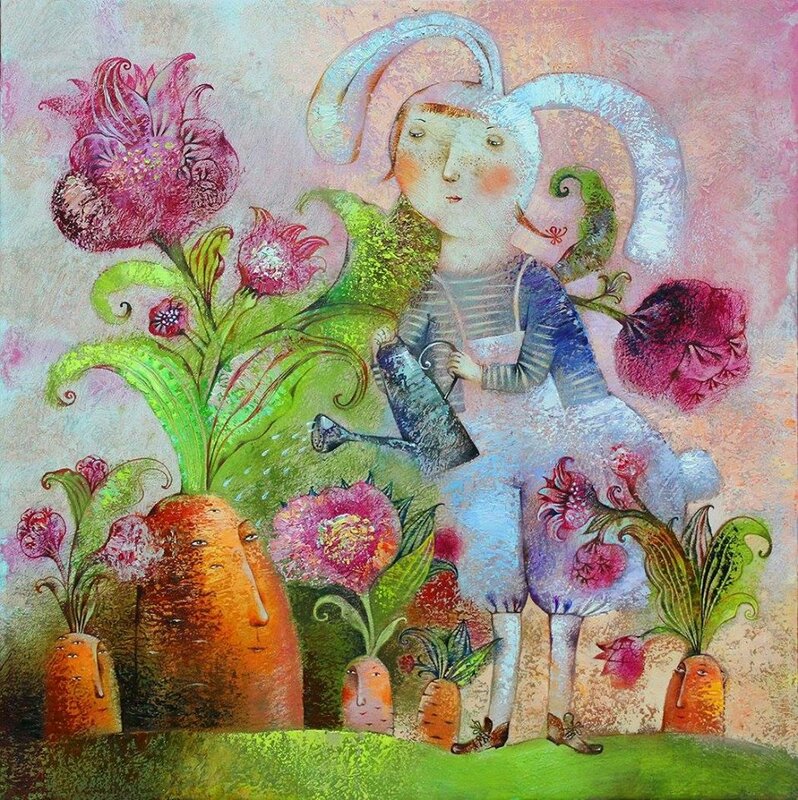 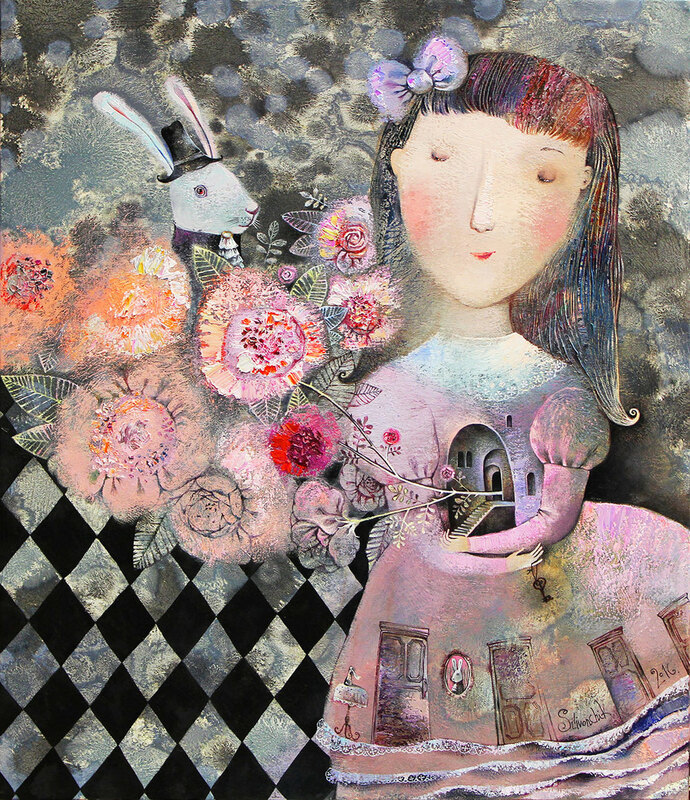 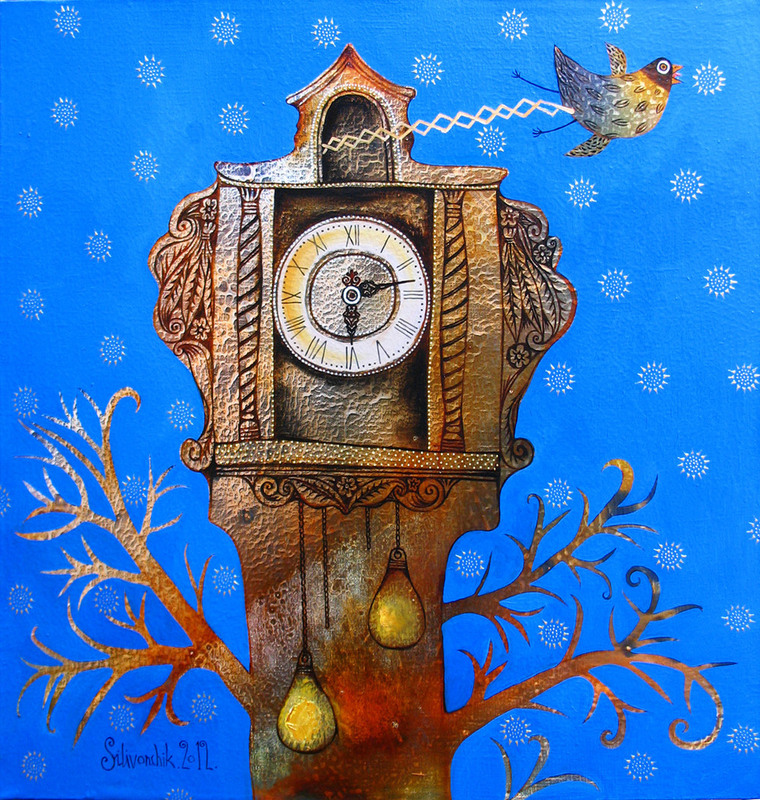 In her works, however, Anna has created her own distinct world of fairy tales, the coming-to-life of childhood fantasies and dreams that appeal to children and adults alike.